Nvidia unveiled today a new flagship graphics card: the Titan X. It might carry the same name as Nvidia's previous high-end Maxwell card, but this new Pascal-based product uses a GP102 GPU for 11 TFLOPs of single-precision compute performance. To put the performance of the new Titan X in perspective, the old GM200-based Titan X featured just over 6 TFLOPs of compute, while the GeForce GTX 1080 packs around 8.8 TFLOPs under boost. For those that are interested in a 25 percent performance increase (on paper) over the GTX 1080, it will come at a hefty price: $1,200. This is double the MSRP of the GTX 1080, which shouldn't come as a surprise; Nvidia's Titan cards have always carried a significant premium. As for specifications, here's what we know. The GP102 GPU features 3,584 CUDA cores, with this card packing a rated clock speed of 1,417 MHz and a boost clock of 1,530 MHz. There's 12 GB of GDDR5X memory on board, clocked at 10 GHz to provide 480 GB/s of bandwidth over a 384-bit interface. The new Titan X is rated for a TDP of 250 watts, which is the same as the old Titan X. Considering the significant jump in performance from old to new, Nvidia's strengths in energy efficiency are on display here. 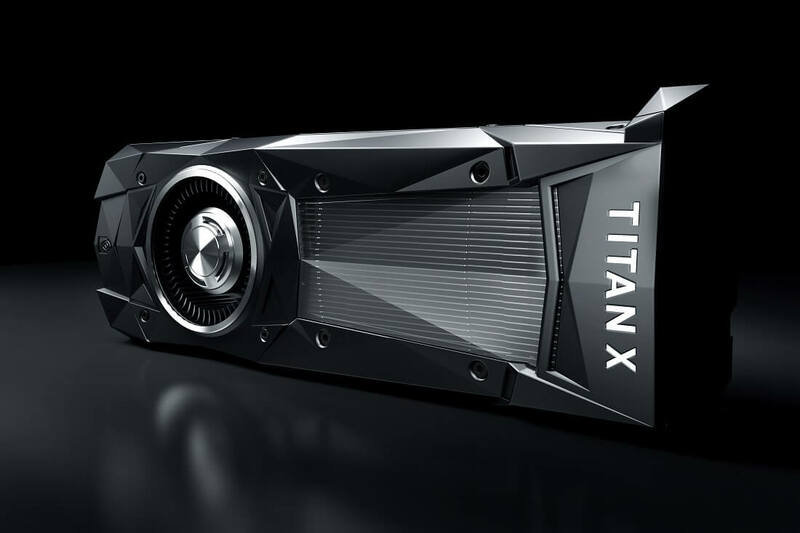 You'll be able to purchase a new Titan X from Nvidia directly starting August 2nd. The $1,200 price tag may be hard to swallow for some, but that's the price you'll have to pay to get the fastest single-GPU graphics card on the market.